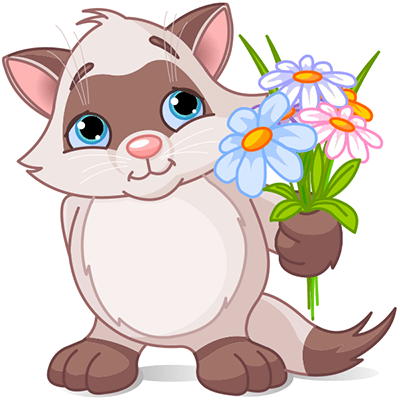 This sweet floral kitty is perfect for sharing on Facebook. Share it on a timeline or add it to a message to your friend or use it in a comment. If you know a cat lover, be sure to send it their way. Be sure to check our huge collection often so you can discover even more adorable emoticons to share.